We had a big shopping week this week! I hit Kroger & CVS and made up for not shopping the past few weeks. 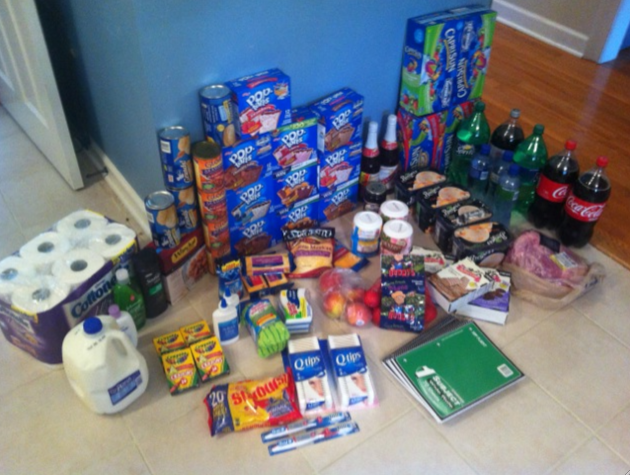 I had a total of $150 in our unused grocery budget but didn’t need all of it. Our produce box each week also continues to be awesome!! This week it had so many different colors I felt like we needed to work on still life painting skills. This included $20 in Pork for a big July 4th gathering we had (that’s what the soda & ice cream was for too).